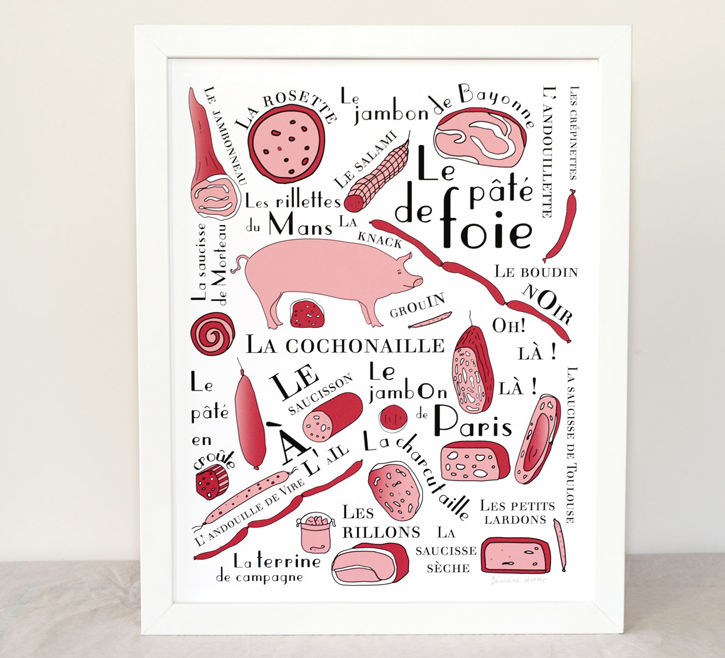 How cute are these illustrated posters by artist Géraldine Adams? Born in France and now living in California, Géraldine is harkening back to her roots with these delightful drawings. 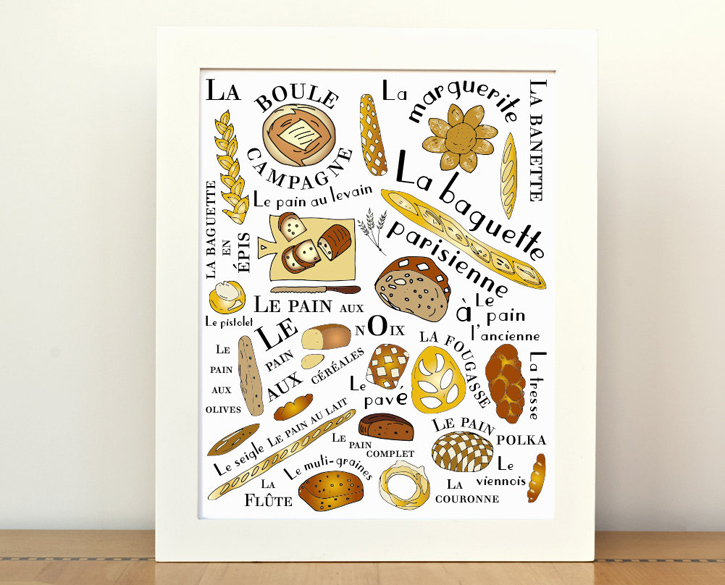 I’m hard-pressed to pick just one; in equal amounts I love le fromage, le pain, et les macarons, but I think the cheese illustration in particular might end up in our kitchen. Now all I want is some Roquefort. Well… Love is love and my husband is here. And honestly, California is an awesome place. california is a good choice. i often daydream of moving there as well. though i must admit i daydream of france more often ;) these prints would help fuel those daydreams i think. love your artwork! 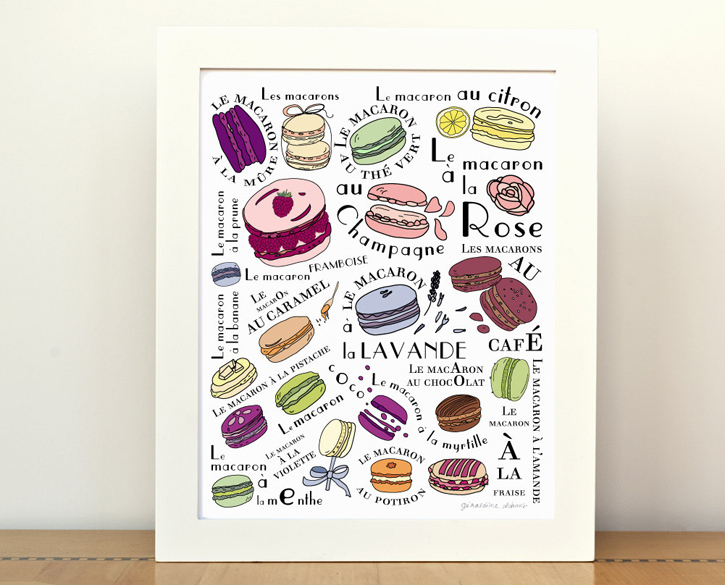 If YOU passed up the macaron poster for the cheese poster, you ARE your father’s daughter! They’re really sweet. It would be hard to pick, so maybe a set of three? In a large kitchen I would love all four as a set! I think maybe you could put the cheese in your kitchen and the macaron in your writing/guest bedroom! Oh adore these. Perfect for a light and bright kitchen. Ahhh so cute! 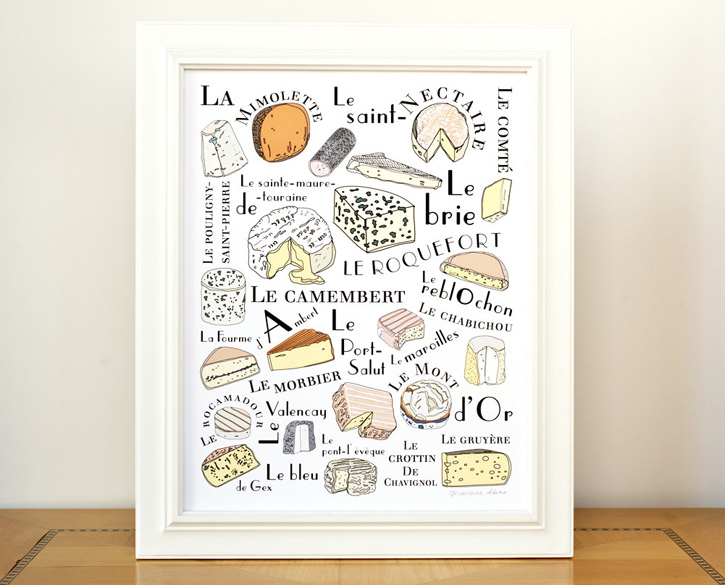 The cheese print would be perfect for our cheese-loving home! Wow these are so great.. all the things I love. Thank you very much for featuring my prints. Thank you all for your nice comments and kind words! Very very cute – I’m also partial to the cheese one myself! My four favorite food groups! Cheese, meat, crusty breads, and macarons! All of those together with a glass of wine make the best meal ever.